Could you actually see a better quality of life if you choose to move to an area with a lower cost of living? Aja McClanahan from Principles of Increase joins us to talk about how she enjoys a higher quality of life by living in an area that costs much less than the surrounding area. Other members of the show also talk about their decisions to make the move to places that cost less in order to see a better quality of life. When you live in an area with low costs, there is a good chance that you will have more in terms of disposable income — and that can mean a better quality of life. [00:00:02] ANNOUNCER: Welcome to The Money Mastermind Show. Let’s Talk Money. [00:00:18] GC: Welcome to The Money Mastermind Show. Here is an interesting thought, one way you can make your life better is to reduce your cost of living, really. Joining us tonight to help us discuss this is Aja McClanahan of Principles of Fin — I’ll start that over again. Principlesofincrease.com. See, this is what happens when you write up the whole thing without putting spaces there. Your tongue just trips over it and I apologize. [00:00:41] AM: It’s okay, no problem. [00:00:43] GC: Principlesofincrease.com, welcome to our show Aja. [00:00:46] AM: Hi there, thank you all for having me. I’m so excited, it’s going to be fun. [00:00:50] GC: Thank you and besides Aja, we have the members of The Money Mastermind Show. We have Miranda Marquit of Planting Money Seeds, Kyle Prevost of Youngandthrifty.ca, Tom Drake of the Canadian Finance Blog and Peter Anderson of Bible Money Matters. Peter couldn’t be here tonight but we wish him well and hope that he gets back here soon and I’m Glen Craig of Free from Broke. So before we start, I want to direct you to our events page. If you are watching live, there is an app there where you can ask questions and if you have any questions regarding increasing your quality of life by reducing your cost, please feel free to ask them. We love your questions and yeah, let’s do that. Most times, we think we need more money to think we’re going to make our quality of life better. “If I just had some more cash, I could do this. I can get that. I can get the bigger home, I can have another car, I could do this and if I just get over that hump with some money.” But there’s a whole other philosophy that says, “You know what? If you lower your cost of living, then you can make your quality of life better as well.” How is that the case? How do you cut off the bottom there to make your life better? [00:02:05] AM: Is that question for me? [00:02:07] GC: Sure, let’s throw it out to you. I should direct that a little bit better, I think I want to share this. Yeah, let’s start with our guest. [00:02:15] AM: Do you want me to go into my story or? [00:02:22] AM: General ideas about it? [00:02:23] MM: Yes, let’s hear about your story. [00:02:24] KP: I love story telling. [00:02:26] AM: Okay, so we didn’t go the low cost route and one of the things that we decided not many years into our marriage was that we want to be a debt free family. We didn’t want to have any more mortgages or student loans. We just didn’t want debt to be a part of our lives and so my husband and I took a pact. We actually were able to get a house with no debt. The only caveat was that it was in the heart of the inner city, and when I say that, I mean “the hood”. [00:02:58] GC: Now to be clear which inner city “hood” are we talking about? [00:03:04] AM: Yeah, I live in the south side of Chicago, in the south side of Chicago, and I live in a neighborhood by the name of Englewood — Englewood, Chicago. If you were to Google it, you will see that there are some statistics that give you an idea of where you are in terms of National Poverty Rates or any type of bad statistics that you can think of, we’re on the chart. [00:03:28] KP: I remember Englewood being very popular in their rap songs I listen to as a young high school basketball player. [00:03:35] KP: That’s where my education comes from. [00:03:37] GC: Was that quit the same Englewood or there’s a few of them that have some notoriety. [00:03:41] AM: There is an Englewood in Colorado. [00:03:43] KP: Englewood I believe, yeah. [00:03:44] AM: People don’t usually rap about Englewood in Colorado. There is also an Englewood in California, which is very similar to — it’s actually, the neighborhoods are pretty similar but recently here, if you still listen to rap music, there are some rappers that talk about it. And usually people know one, and I don’t want to say his name because I don’t support him but. [00:04:11] AM: So yeah, we’re on the hood. [00:04:14] GC: What made you decide to live there as oppose to somewheres else? I mean you said how you were able to buy something debt free basically. [00:04:22] AM: The property here is actually pretty inexpensive because of that goes on, the property rates are still really low around here. For example, my pastor and his wife just purchased a very nice grey stone building for like $16,000. I met a lady, young girl and her husband, they purchased a home for $22,000 and theirs was move in ready. They are still doing work as they go. [00:04:54] GC: Wait, how much was that? [00:04:59]GC: $22,000 for a move in ready home? [00:05:06] AM: Just to give you an idea. [00:05:07] GC: I live just outside of New York City, so that’s what you get for maybe a refrigerator. [00:05:11] AM: Yeah, a parking space. [00:05:14] AM: The property taxes are extremely low, very low. [00:05:19] GC: That’s like my property taxes actually. [00:05:23] AM: Oh my gosh! So it’s easy and it’s hard to live here, right? We don’t have any debt. When we move here since we don’t have rent or mortgage, it enabled us to actually throw money onto our debt snowball and so in 2013, we actually paid all of our debt. Life is pretty sweet when you don’t have mortgage or bills or anything like that. That was intentional and I tell people we didn’t come here because we got a cheap house. Don’t let that be your strategy. We also have a heart for the neighborhood, we’re really plugged into the neighborhood, we volunteer, we are at neighborhood associations, we attend church here and so it’s a part of a grander scheme. It just happens to have great financial benefits as well. [00:06:16] GC: Did it happen to be an area that you came from or that you were familiar with before? [00:06:19] AM: Yeah, the story of how we got the house, we actually didn’t buy. A relative of ours received a home and they were already living in a nice cushy suburb and they went down the list of other relatives, nobody wanted it and finally, the lot fell on us and they’re like, “Hey, do you want this house? We don’t want it,” because it’s in Englewood that nobody wanted it. At first, we were like, “Oh no,” because obviously we’re black but culturally, we’re suburbanites. So that still would have been a shell shock for us and we had a young family. At first, we did say no. And then we ruminated on it a couple of weeks, maybe more and my husband was like, “We did say we didn’t want any more debt. We wanted a house, we didn’t have a mortgage,” so it took my husband to discern that opportunity. He’s like, “Hey, this might not be a terrible thing,” and so it worked out that I was able to work from home. I didn’t have to have a full time job right away. So I was able to stay home and stay home with my kids to homeschool because the neighborhood schools are not quite where they need to be for our kids. We’ve arranged our lives around this and it’s been working so far. We’re pretty happy. [00:07:37] GC: It sounds like you’ve definitely have to weigh some choices moving there. Right? Just the fact that you were talking about home schooling your kids. A lot of times, I know for me personally and my family, the reason we moved somewhere is because of the school system, right? And that’s part of why our taxes are so much, not really as much as what you paid for your home but not far from it because for a lot of people that’s what a good neighborhood is. A good neighborhood as a good school system so you’re really weighing that but at the same time, I’m paying a ridiculous amount also in my mortgage and my taxes. How did you come to peace in making that decision? That was our situation and again, this is not for everyone. If it’s going to be a big adjustment for you to figure out that you have to home school and install a closed circuit security system, there are some things you have to think about when you make a move like this. [00:09:06] MM: Yes, some of us just moved to Idaho. [00:09:13] AM: Is that what really someone did? [00:09:17] AM: Oh my God, how’s that working for you? [00:09:23] MM: No, it’s cheaper. [00:09:24] AM: Yeah, I bet the cost of living is great. I actually know someone who lives there. [00:09:29] MM: It’s cheaper than where I lived in Philadelphia. [00:09:33] AM: Yeah and with the way the world is set up these days, you can be a lot more location independent than you used to be so it works for us. I do database consulting from home. I have clients all around the country and I don’t have to leave my house if I don’t want to, so it doesn’t matter if I live in the middle of the ghetto. [00:09:53] MM: Or the middle of nowhere, wherever. [00:09:56] AM: Or the middle of nowhere! [00:09:59] MM: Well I mean, ask Kyle. Kyle is even more remote than I am. [00:10:03] KP: Yeah but you know, we joke but there is some commonality there I think. Basically, looking at what ultimately makes you happy in life, which I presume is sort of where we’re headed with this conversation and just looking at independent of where your house is, which can be a hugely important financial decision whether it’s slightly less desirable to the majority or the mainstream of people because it’s an inner city or because it’s quite rural. I do think there are some, even though folks that live in those communities will maybe disagree that there’s a lot of similarity. I think as far as this conversation goes, there is similar motivation there. [00:10:45] GC: I mean let’s talk about that. What actually makes for a good quality of life? I know everybody here will probably have a different answer but maybe we have some commonalities there as well. Why would you chose the places that you live? I mean it sounds like the cost of the home and not being in debt is one part of it but it sounds that you maybe have a little bit more to it than just the money. [00:11:08] AM: Yeah, so another big part for us is, I’m that person who like challenging things. If it’s hard like stupid damn hard difficult, I’m like, “Sign me up”. In the suburbs, everything is very turnkey. Life is there for you provided, you don’t have to do a lot around like infrastructure and making sure your trash gets picked up and your elderly neighbors are taken care of. Usually, people in the suburbs have the means to live a protected or normal life — convenient life, that’s what I’m trying to get at. Where I’m at, the services, the infrastructure is nowhere near a third world country but there are still some differences. We sometimes have to interact with the older men to say, “Hey, the trash didn’t get picked up today,” whereas I know in other neighborhoods that wouldn’t happen. The internet is slower here sometimes and hopefully it doesn’t fail this call but I find a lot of value and I do get great joy out of being able to be an integral part of the community to advocate for people or just let people know who maybe wouldn’t normally stand up for themselves or call for the garbage man or call 311 because a street light is out or whatever the case is. We do some things in the neighborhood and that is really incredibly fulfilling and to me, that is more important than stuff at this point in my life. It wasn’t always that way. I’m not this perfect angel person but right now, I can say that it is fulfilling and satisfying. [00:12:52] KP: I can definitely sort of identify with that. It sounds like there’s a lot more similarities in that thought. [00:12:59] AM: Where are you Kyle? [00:13:01] KP: I live in this very rural area, north of Minot, North Dakota is the geographical touch stone that I found the easiest for most American folks to identify with and then their next question sometimes is like, “Where is North Dakota again?” And I’m like, “Well, it’s close to Canada”. Anyway, I’m like almost halfway between where Tom lives in Edmonton and Winnipeg, a little closer to Winnipeg, so right in the middle of that giant mass of Canadian prairie. What you’re talking about with the smaller community and sort of more intentional living, it’s pretty neat being a teacher in a small community or being a professional. I mean pillar of the community sounds so ridiculous like 1960’s but you do have a really cool chance to make a real impact on things and help people. Yeah, it’s a different spirit obviously. I’m definitely dealing with different obstacles than yourself. For example, in the city when there’s a snow storm everyone goes, “Oh gosh, it snowed. That’s really too bad,” and then the plow comes by and plows everything. Where we live, it’s like your 80 year old neighbor can’t go out to their driveway for a week if you don’t help them or someone’s in the ditch. It will take the plow three hours to get there if you don’t help them out. Maybe a similar dynamic in certain regards like that in terms of convenient living but I enjoy it. I would actually pay a premium to live here so that’s been good. [00:14:33] GC: Yeah, compared like you could be out in the suburbs somewhere or even in the city, depending on what parts of the city and have neighbors all around you and you don’t know anyone. [00:14:43] AM: That’s just true. [00:14:44] GC: Unless you run into them on the elevator maybe once or twice or you see them on the train or something like that, otherwise you don’t necessarily speak to everybody you see. You just see them and then move along, because everything is so fast paced and maybe enclosed. It does sound like a very interesting aspect to it. [00:15:03] AM: Yeah, I was just going to say that I came from the suburbs, I live in the suburbs and it was very much like that. You didn’t see people a lot. People walk from their cars to their house, in their air conditioned homes and we didn’t know many people and didn’t interact with them. Nobody has time because everybody’s working. Unfortunately where I live, everybody does not work every day. There are a lot of elderly, there are a lot of people who don’t work and then there is actually a working class of people. And people think that they’re some unicorn here but there are actually a few other people that I know that could probably have the same conversation like, “We came to Englewood just because it’s cheap,” and they are white, they’re Latino, there are black. It seems like it’s becoming an increasing trend, I don’t know if it’s just for Englewood or maybe in more urban areas. [00:16:31] KP: Within three years, right Glen? Like it didn’t take long from what I could tell from way out here. [00:16:37] GC: Parts of Brooklyn, let’s say, has been going on two decades but it just feels like it does get that momentum and you go with them, downtown that neighborhood is nice too like that’s desirable now? [00:16:48] GC: Either way and it doesn’t completely change all of a sudden. You’re living on Sesame Street let’s say or Mr. Roger’s neighborhood but it is amazing how that happens and it’s because somebody decides to go in there and take a chance maybe on the neighborhood maybe because of the prices or whatnot is an interesting thing. [00:17:07] MM: Yeah but then you know what happens when the prices starts going up. [00:17:09] GC: Everybody else has to move out that lives there so it’s a double edged sword, right? [00:17:14] MM: It’s an interesting dynamic when you start looking at the gentrification of a lot of these areas but probably not what we’re talking it today. [00:17:22] KP: That’s the nice problem to have I guess in some ways. [00:17:26] GC: Yeah, it depends on where you are. It’s nice when you own something and starts this way. [00:17:29] KP: Right. I guess that’s what I meant, yeah. [00:17:31] AM: Well, I think thankfully, we’re in a position that if taxes were to go up or if something happens, we actually are financially okay. But one of the things that’s been in my heart is to be helpful in the neighborhood in terms of financial literacy. My call to the neighbors is like, “Hey, if you feel that gentrification is eminent,” which I think we’re really that close. We’re still pretty much “the hood”. But what to me and some other people are saying is that, “Hey, we don’t have to be displaced if we don’t want to. We can start right here, right now, learning how to save our money, manage our money, stay on top of our property taxes,” because there are quite a few people around here who inherit homes from their grandparents or great grandparents. Sometimes you’ll see there might be two or three families in one home and they only have to do is handle a $1,000 tax bill every year and they still end up losing their houses. We are dealing with the effects of generational poverty. I try to do what I can like speaking in churches and going to different places in the neighborhood and just saying, “Hey, if you feel like this is going to be an issue, let’s just start right now because we know where this can go”. Hopefully, that won’t be the case. That’s what we were hoping. 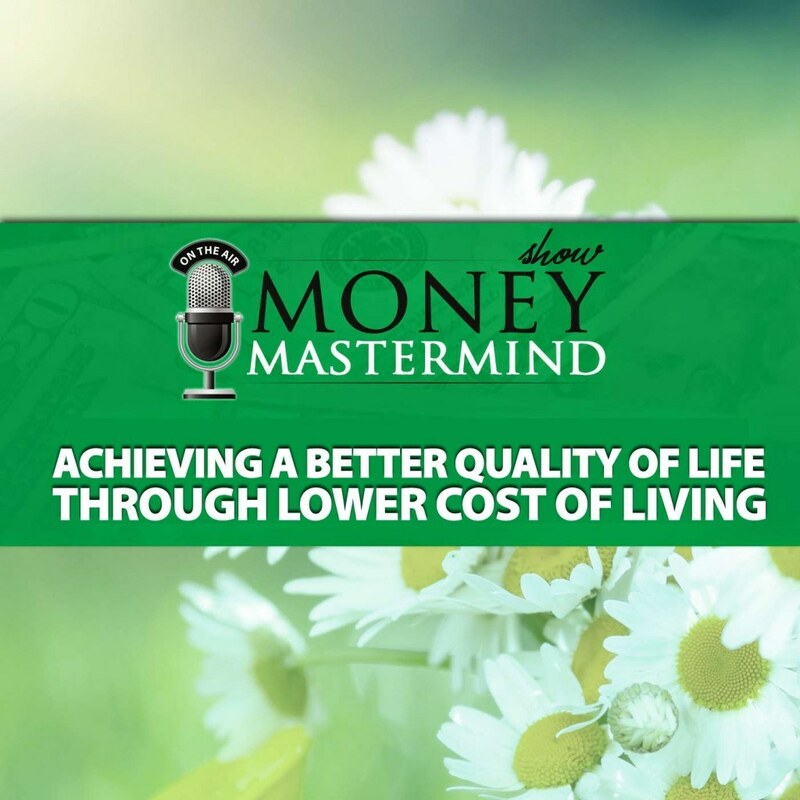 [00:19:03] GC: I touched on it a little bit before but the fact that you are not in debt due to your home and other things that you are going to be living debt free, how does that change your quality of life? [00:19:14] AM: Oh my goodness, I can probably talk for another two hours for that but I’ll be brief. [00:19:22] GC: We’ve got to be about 40 minutes so you know, yeah. [00:19:26] AM: Just a few things that I’ve noticed because I don’t have to work and tied to be a cubicle, I feel like I can make more to my family, more to my marriage relationship. My husband is the primary bread winner in the home. I just feel like I can be more present for him because we’re not both crazy running around. Since we’re debt free, we actually travel quite a bit. We get to travel and go to different places that is probably one of the more exciting things. And then just being able to be free in the community, I work with high schools, I go to elementary schools, I work with churches and do things. If I was tied to a cubicle, I won’t be able to do that. If I had to service a mortgage, I won’t be able to do that and then the other neat thing is that both my girls are in acting and things like that. I am able to take them auditions and when they get jobs, I get to take them to jobs and because of our location, we’re actually not that far from downtown Chicago. It’s a pretty access to go there or go to the airport when they have to travel or something. That’s one of the nicest things that I get to give my kids a head start in life. They do things that are able to earn money because I can tote them around basically, I’m the taxi driver. [00:20:54] GC: It’s interesting because I think we’ve had a few people on already and certainly we’ve talked about debt or whatnot, one constant or a thread that goes along is the people who are more financially free travel more. [00:21:11] AM: Yes, it’s great. I have a total travel bug, I love travelling. [00:21:19] MM: Yeah and I was going to say that one of the things that I liked, it’s a little bit harder here in Idaho Falls where we’re three hours away from the closest major city. But one of the things that I like when I lived in Logan, Utah is that even though it was small and is out of the way, the cost of living was so low and we were only an hour and 15 minutes from the airport. It was really, really easy to travel. We could go wherever we wanted, travel was very accessible and we could build whatever life we wanted because the cost of living was low and we weren’t always house poor. [00:21:58] KP: I just Googled Idaho Falls population, you are a major city in Canada Miranda, just so you know. [00:22:06] KP: You’d be like in the top 15 like there. [00:22:10] KP: There you are. Little did you know! [00:22:12] MM: …that I had a three hour shuttle ride to get to and fro from the airport. [00:22:17] AM: Oh my goodness. Wow. [00:22:38] GC: It’s interesting because by me, there’s a term called six figure poor. Where you can be making six figures and you’re still struggling to get by and it’s an interesting difference from what you’re talking about where you are. Besides the fact that maybe the cost of the home and the cost of taxes, it’s the general upkeep of Keeping Up with Joneses as well. You got to have your lawn in a certain way, you don’t want your car to be too much of a clunker and you’ve got to look and do a certain amount of things when your kids are going to school. They are asking you, “How come we can’t have this like Johnny next door?” and so on and so forth. There’s like a whole snowball of effect that ends up costing you more money. [00:23:22] AM: Oh my goodness, yeah. [00:23:23] KP: What’s interesting is, I wasn’t presented the offer sheet but it was recently asked to me whether I would accept a $100,000 or a six figured gig in Toronto. Which is, I think most people would say that the first or second most desirable city in Canada and I thought about it for about two and a half seconds because it was flattering for someone to think that you’re actually worth that much money first and foremost. Then I realized that it wasn’t really a decision, one, away from money completely. This wouldn’t fit me, it wouldn’t fit what I like to do or my lifestyle. So even if it would have been twice as much, I would have probably said no which I know people out there are like, “He’s crazy,” but that’s just me. The other thing is, I could actually double that offer and I still wouldn’t be financially as far ahead as where I’m currently live. When I look at various expenses, I can actually make $200,000 a year living in Toronto and even in any of the suburbs around Toronto whether that was renting or buying or whatever and I wouldn’t be saving nearly the money — it’s crazy but when I looked at the numbers it was pretty obvious. [00:24:32] MM: Right, well salary isn’t everything. It’s more about what you have for disposable income after you’ve taken care of your needs and that’s more important I think a lot of the time in your considerations, then like a flat salary number because that’s almost meaningless in some cases. [00:24:48] GC: It’s not what you make, it’s what you get to take home. [00:24:52] TD: Often it’s those increases in salary and economy in general are raising the real estate prices. Like here in Edmonton, everybody is coming in for the oil jobs or were coming in for the oil jobs and we’ve seen our house price increase a lot over the last 10 years. If you’re not in that industry, then I guess it’s pretty tight. Kind of like what Kyle said, you need 200 grand to make it work. If you’re making the big oil money, the cost of living is kind of bearable but I guess it’s worse if you’re not in that sector. 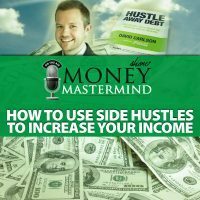 [00:25:31] GC: We were talking now basically the “making more money” it only does so much for you depending on where you are. It’s interesting how if you can cut of the bottom and we’re not talking about being frugal, we’re not talking about doing cheaper food shopping or cutting out movies to make your money go further. We’re talking about some pretty big financial moves that can change your quality of life. It is interesting how you can cut out your base in a different way that can make a huge difference here it seems. How can you go about making that decision? Like where do you come up with how you want to live? Let’s think about that for a second. [00:26:24] KP: Yeah because if I was to play devil’s advocate here Glen, I’d say that we’re the odd balls. There are obviously reasons why people move to the suburbs and why people enjoy that lifestyle. I guess maybe, I know I’m weird so I don’t see it the same way so maybe one of you guys can answer this. What sort of tradeoffs do you make when you make the decision between suburbs and how can I still have my happiness and enjoyment level of life stay the same but live somewhere that’s a lot more affordable? [00:26:55] GC: You know it’s an interesting thing, where I am it is the suburbs and it’s more affordable because the alternative is New York City and it’s still so expensive. But there are areas if we really wanted to move back to New York City where they are more of a less desirable neighborhood let’s say. You could find something that was a better deal but it’s those trade offs. For us, it wasn’t even necessarily the neighborhood itself so much as like having a house with a little bit of land and little bit of space but yeah, there were places kind of like that. [00:27:36] MM: Do you have an actual yard? [00:27:37] GC: Yeah, I actually do. [00:27:40] GC: It’s not the biggest yard. But you know, I do have to work to cut the grass every once in a while. But for us, the quality of life question was do I want to have to fight for a parking spot every day and that’s what living in New York City is. Maybe I would have a driveway somewhere else but we were tired of having to do that. Here, we pull into our driveway every day and that’s taken care of, but we’re paying for that. It does become this two sided thing. We’ve considered here could we live somewhere else? Could we move? It becomes an issue like, “Yeah, what do we do about the mortgage?” We’ve got to hope that we get enough money selling the home that we’d have something there and it’s interesting that you mentioned freedom in being debt free and that it offers a lot of opportunities for you. I think that’s what maybe kind of anchors a lot of people down in some places. [00:28:38] AM: Yeah, we’ve lived in the suburbs. We were both raised in the south suburbs of Chicago and we’ve lived in some west suburbs maybe a little bit more fluent areas and it was very interesting that I thought that this was what I wanted I thought. But when we got there, I felt like we were trying to keep up with the Joneses. I found out that mostly everybody, they were broke too. Like you said, six figure poor, they were still living check to check and this was during a time where foreclosures were sky high even in a nice suburban neighborhood. For me, I have to step back and think like, “Can I do this for the rest of my life? Can I work like a dog, never see my kids, and probably stay upset with my husband because all we do is fight because we don’t spend time together but we spend lots of money apart?” So just all those things, I knew from the very beginning that I didn’t want financial strain on my marriage and I really didn’t know what that looked like. So I think it’s important to start with the visions. When you get with your significant other or even if you’re single. You know, I’m a big fan of doing vision boards and things like that. When you put the vision out there for what you want your life to look like, and for us it was freedom. It was having enough money or at least not fighting about money that was the big thing. When you come down to that, the decisions will get made for you and it will be easier. I’m not saying that the suburbs is a terrible place by any means because there are some suburbs that are quite frankly they’re inexpensive as well. It depends on the kind of life you want to have and how you want to design it. [00:30:23] GC: I was going to say is, what you’re saying is if you want to make that decision, the first thing maybe that you want to think about is what is it that you really want and need? Not what you think you might want or think what’s expected of you. [00:30:39] AM: Exactly, yeah. You’re expected to be a suburbanite, you’re expected to be in nice places. My mother was like, “I raised you and you know well and you went to college and here you are, going back to the ghetto,” and it was really hard for her, and now she visits me quite often. She loves coming over here. [00:31:00] GC: You don’t move, you move further away, you don’t move back. [00:31:04] AM: Yeah, that’s the goal. [00:31:09] GC: It becomes this interesting thing, it becomes this flight when somebody sees a neighborhood go down a little bit then everybody starts going off every which way. If everybody didn’t flip out and just made some deeper roots where they are and just fought for where they lived, things wouldn’t have to change necessarily. You know? And I don’t really know where I’m going here but it’s interesting when everybody just kind of runs away in the hopes of making something better instead of making it better in where they are. [00:31:44] KP: It is kind of connected though Glen because basically, what those people must be telling themselves is that where I’m living must be a huge part of my happiness because otherwise, why go through to all that effort to pick up? Moving is not fun, I don’t know and I hate it personally. In order to put yourself through that and the added expense of moving somewhere else, you must rationalize in your brain that your housing situation is a huge, huge part of that happiness pie for you. It doesn’t necessarily have to be. I’m sure there are many happy people where all of us live and they’re not the most expensive homes or most expensive neighborhoods in the world. And I don’t necessarily know because I live in amongst suburbs when I went to university and I don’t necessarily know that their happiness is any higher there to be honest with you. [00:32:38] MM: Well what’s that study they did a couple of years ago where they were looking at everything and just said basically, “Once you had $75,000 a year, your happiness level does not increase by your income.” It just levels off, is that really based on that study? [00:32:55] GC: No, I don’t know about that. [00:32:56] MM: I mean it is not anywhere. There are issues with that I’m sure because whatever. [00:33:00] GC: I’m willing to bet that I could double that instead of having to lie. [00:33:03] KP: But it’s interesting though Glen. [00:33:11] GC: I can start to compare I think. [00:33:13] KP: Well I would like to see one on a $75,000 comparison in some of the neighborhoods like where I live for example versus $75,000 where you live Glen because clearly, there will be a huge — If you put a lot of stock in your home and material possessions you can afford, there will be a major difference or a huge difference in happiness level I would guess. [00:33:37] GC: I think it also depends on where you live too. I mean you’ve got to remember that these are nationwide statistics. You talk about median incomes, you talk about that $75,000 in some places and to me, it sounds spoiled as all hell but you could be making that and it doesn’t get you far depending on where you are and it doesn’t mean that you’re not necessary a doctor or whatever. But it depends on where you’re living. In some places, that $75,000 will really go far and you can do a lot with it. That’s three plus houses that you could buy all in your salary. Whereas where I am, it doesn’t buy home. It doesn’t buy an apartment somewhere so it’s really relative. When you throw out those big numbers it’s like, “Yeah, but I get what you’re saying but I can run the figure in my head and go, well if I just make it a little bit higher, we could make it comparable,” but it doesn’t say a whole lot. I think at a certain point, at a certain point the money itself doesn’t change much. [00:35:21] GC: See I think that’s the interesting thing too. It feels like in the last five to 10 years, it’s been something of a culture shift. We’ve moved away from that 80’s on notion of “I need to work as hard as possible and make as much money as I possibly can” and now, people are starting to go, “For what? What is that money actually going to do? What is the cost of that money?” There is a cost in making that money and working that hard 120 hour a week, there is a cost to that. 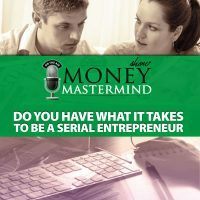 [00:35:54] KP: Even when I talk to entrepreneurs like the guys that are building the business that’s going to be a multimillion dollar business, it doesn’t seem to be that money is the main motivator. Certainly that’s how they help justify it to other people and that’s how maybe they justify it to their significant other sometimes or whatever the case maybe but it is the project. It’s the challenge and the wanting to overcome and the competitiveness and all that other stuff. I think that is the primary motivator because often times, when I talk to these entrepreneurs, there are easier ways to make money than pushing all your chips in the middle and working a 100 hour weeks. So yeah, I think that if you separate the entrepreneurial away, the highly paid professional class, I know amongst the millennial generation there is nowhere near the appetite to work the overtime and do some of that other stuff that they used to be and that’s backed up by every study that I’ve read. [00:36:51] GC: A lot of other people would simply call that laziness. [00:36:54] KP: Yeah, my grandpa would have just as they put it right? [00:36:57] MM: My family has no idea why, still even 10 years later they’re like, “Job, real job, how are you going to support your son?” I’m like, “I don’t know, the same way I supported my son and the whole family for 10 years. I just keep doing the same thing.” But there’s this progression that you’re supposed to have which is you grow up, go to college, you get your degree, you work for 30 years and then you can retire and travel. And a lot of people now are saying, “Well,” — oh and you’re supposed to buy a house in there too somewhere. A lot of people now are saying, “Well, what if I just rent and work this other job.” I don’t know. I am doing it all backward and my whole family thinks I’m crazy because I am running around having these crazy adventures when I should be just settling down and waiting to do it when I’m 60. [00:37:54] GC: I think for the longest time, people they had money for money’s sake and maybe you could buy nice stuff and do all those “nice things” but they didn’t put a price on all the other aspects. It’s like what you were talking in the beginning, you are talking about your relationship and family and being able to spend time with them, there is a cost to that and I think that a lot of times people didn’t say that, “Well yeah, the money is here but it’s not balancing. I am not putting that into this side, I am putting it to this side,” whereas if you’re making a little less, well now you could balance things out a little bit more. I think we’re starting to see that change happening for a lot of people. [00:38:40] MM: Yeah, it goes back to what Aja was talking about before, what do you want to do with your life, what do you want it to look it and what’s real quality to you? [00:39:07] MM: Let’s hear from Tom. [00:39:10] GC: For me it meant like living out in the suburbs not being on top of everybody in the city. There is one point where we had sold where we were living and we rented for a year and it was only a rent until we could find a place, but we live in a three family home and right next to, on both sides of us, were two or three other family homes. We had to fight every night to get a parking spot and that was such a relief to not have to do that anymore and have one space that was ours. We didn’t have to worry about shifting the car or who’s going to keep a look out for where the spot is. It sounds crazy but that was what we were dealing every day. It’s that little things that is such a relief. I talk to my wife and say, “Isn’t it great that we don’t have to search for a spot anymore?” Like we’ll go back into New York City somewhere and trying to find where we can park and it’s like, “Isn’t it nice?” It’s a sigh of relief to not have to do that. It’s the little things like that where you’re not so on top of everything. [00:40:18] TD: It sounds like the same aggravation of just trying to find a parking spot on the mall at Christmas. I couldn’t imagine doing that just to get to your house. [00:40:26] GC: Right, that’s every day and we don’t go to the mall for the holidays either for that same reason but yeah, but yeah if it’s like that every day now, we live in this little alcove with all these housing development here and it was nuts. [00:40:41] KP: I can’t fathom that one. [00:40:44] GC: There are a lot of parts in New York City that are like that where you have alternate side parking every day, you have to worry about what side you can park and which side of the street. [00:40:54] AM: You know, me and my husband have that same similar conversation. Not every night but I think every other night I am bringing it up. I’m like, “Babe, aren’t you so glad we don’t have a mortgage?” Because he works hard, he gets tired. He works for the post office so they have a pretty generous vacation policy. So sometimes he just takes off and he can do that. My parents were divorced when I was younger so I’ve made up my mind that I have to do everything I can to make my marriage work. So I think this helps us so much. [00:41:52] GC: You make it sound like family time is all of you are huddling together. [00:41:56] AM: No, no, we are totally safe. Actually, the crime and everything has been on the mend and it’s been improving. When we first got here, it was kind of scary but now, it’s a lot better. [00:42:14] KP: I can hear sometimes hear gun shots in my neighborhood this time of year because it is hunting season. [00:42:22] GC: So as long as you’re not a moose. [00:42:23] KP: Much different noise I would assume from the small scale weapons but yeah, I know. I think talking about what you value, we talk a lot of times in this show that this isn’t a show about money for money’s sake. I don’t think any of us look at money on the panel here like keeping scores, “I’ve got to make X number of dollars for me to consider myself successful and it’s all wealth is only good for building more wealth.” We’ve all said numerous times is to get where we want to be in life, right? For me, it’s all about flexibility with my time and flexibility with where I want to be and honestly Glen, the first time that I had to take more than 5 minutes to find a parking spot, I’d be like, “We’re done. Pack to the car. If I’ve got to rent an igloo as long as I can get internet, that’s what’s going to happen right now,” and that would be it. For me, that is worth the lifestyle. And I have some friends that have moved from earlier too in New York City they love it. They would not trade it for the world, they love all the culture and everything else and they don’t mind. They’re just not going to own a vehicle. They’ll make that sacrifice. They’ll make these things because that’s their lifestyle choice. They will share an apartment with four people, that’s fine, they don’t mind that one bit and so yeah, whatever you need to do to make that livable. But don’t just think you’ll be happy because you’ve been told you’ll be happy and spend an obscene amount of money because someone else’s idea of happiness is trickled down to you. I know Miranda will love that reference and yeah, so that ultimately won’t make you happy and it will just make you poor and working until you’re 80 as well as owning a house that other people pay cleaners to clean and you have to clean yourself. [00:44:16] GC: The ergonomics of happiness. [00:44:17] KP: Yeah, it does not trickle down in that scenario. [00:44:23] MM: Yeah, well it didn’t trickle down in the other scenario either. [00:44:26] GC: You’ve got a problem in the pump otherwise. [00:44:28] MM: This doesn’t work. [00:44:35] KP: Just poking Miranda over there. [00:44:38] MM: Well, I was busy writing down your profound thought of “don’t think you’ll be happy because someone told you you’ll be happy.” I’m writing that down dude. [00:44:45] AM: That was good, that is actually good. [00:44:46] KP: You’ve got to get one of those tweet that things. [00:44:49] MM: I know, we need to tweet this button for the blog post that eventually I’ll start writing again. [00:44:56] KP: That was the teacher side of me coming out there for a second. I’m sorry if I get too dabble or something. [00:45:02] GC: Yeah, you start again a little bit higher in the screen for that soapbox that was rising. [00:45:06] AM: Well, you’re preaching. I don’t do this. [00:45:09] GC: I think that was inspiring though. So what do you do? Let’s say you’re living out wherever you are and it is a high cost of living, what do you do to start cutting things down? What can you do to start making that change because sometimes it’s not so easy to move to a different neighborhood even if it’s cheaper? [00:45:30] MM: Right well, and I can really speak to that because I am looking around and I am really fortunate that I was able, that I had the option, that I had the resources to say, “Yeah, I will make my second cross country move in a year.” Not a lot of people have the resources to just up and move so it is really important to look around and say, “Well, how can I save money where I’m at?” And with that, I’m going to turn over to somebody else because I have no idea because I have the resources that I don’t have to know. [00:46:04] MM: Thanks, thanks so much. [00:46:05] TD: …step one has to be, if you’re thinking about moving, is can you find a job there? There are so many places where you can’t just move to no matter how cheap the place is. You have to go somewhere where you can actually get a job so you don’t have to think about that which makes it a lot easier. You can actually just focus on how much will it cost to live there, do I have family support there and things that really should matter more than whether or not you can be employed. [00:46:33] GC: That’s a good consideration. Right? You might have a job that doesn’t transport as well somewhere else or where even though the cost of living maybe so much cheaper, your job itself wouldn’t necessarily carry the same weight or the same amount of money. Even though the housing and everything else is cheaper, so would you salary be. If you can move and keep the same salary, that’s golden. If you have maybe a location and independent type of job, that’s a huge consideration. Like why would you live somewhere where you’re spending the time and you could still be making the same amount of money somewhere else? But in some other professions, what you make is really tied into the neighborhood let’s say like teaching or something along those lines. Where you could be going to somewhere else that you could be even making less relatively to where you are. That becomes a tricky sort of question but it also sounds like you really have to have a long term look at this too. Like when you were in school, what do you plan on doing and how do you plan on living once you’re out of school? When you get that job, where is it going to lead you and what are the cost there as well? [00:47:45] MM: Another thing that you have to think about along with this is I think we’re talking about tradeoffs. If you’re going to live in a more expensive area and you want to be able to afford it, then you have to start thinking about, “What am I going to give up? Am I going to give up eating out? Do I have to not go to the movies as much? Am I going to have to travel less? Am I going to have to?” Because that’s the other thing. A lot of us living in this low cost areas, we like to travel. We’ve been talking how much we can go do these things we want to do because we have this low cost of living. If you live in a higher cost of living, then you have to look around and say, “Well, what are the things that are in this neighborhood that I can do close to home that don’t cost very much since now I can’t afford to travel?” So I guess there’s that kind of tradeoff too. [00:48:28] GC: Yeah, I think a lot of people don’t look enough into what they’re willing to give up to get the things that they do want necessarily and I don’t want to sound preachy there but we don’t all take the time to really put those priorities out there. [00:48:43] KP: Yeah, if there’s a magic bullet answer, everyone will want to live in that area right? You’ve got to sacrifice one way or the other. I often think that if the urban life appealed to me and I wanted to do that again, that I would really have to make use of things to build my side business that it would be much easier to make business contacts. It would be much easier to meet and introduce myself to companies and offer to do — there’d be more lucrative freelance opportunities that I don’t have available to me where I live. You’ve got to make use of the advantages of where you are and look for ways to adapt I think. If you want to live in the heart of New York City and live that fast paced life with all the cultural opportunities and sporting events and just people watching, find a way to make it work for you. Whether it’s taking advantage of the freelance thing or even the increased infrastructure to cut down on your car cost or whatever the case maybe there. [00:49:40] GC: But you have to be able to make it work and I think that’s where the problem comes in with a lot of people right there. They get that lifestyle no matter where it is and it may not be working for them and that’s where things kind of get cut off I think. I think we’ve had some really great discussion here on quality life and how and where you live really does affect that. What we like to do at our end of our show is wind down here with a final word. Everybody gives a summation of what they think. The final word on improving your quality of life through low cost of living, if we’ll start with Tom and give us your final word. [00:50:19] TD: I think it really comes down to quality of life versus cost of living at least in my case. We decided that we’re going to have a bigger house and we’re going to spend more money on it and even my career basically can only exist in the city, in a corporate lifestyle. There’s not going to be a job in some small town. Every decision we made really set quality of life over cost of living. It’s expensive but to us, it matches what we want. [00:50:53] GC: Miranda, what’s your final word? [00:50:55] MM: Kind of what Aja was saying, I really liked earlier when she was talking about how she’s involved in the community and making it work. One of the things that I decided when I moved here and was not super happy about it was that I did want to get involved in the community and be a part of it and feel like part of it. So I think that has a lot to do with your quality of life is what you decide you’re going to do with it, what you decide you’re going to do with where you happen to be. [00:51:23] GC: Kyle, what’s your final word? [00:51:25] KP: Since it was such a hit the first score, I’m just retouching on my main point I guess which is I just quickly made a note here so I didn’t lose the thread. Everyone’s idea of a quality life is different so find a way to find quality in yours without mortgaging your soul. Cool, you like that one? [00:51:45] MM: Look at you, you’re just full of deep thoughts tonight. [00:51:47] GC: Aja, what is your final word on improving your quality of life through a lower cost of living? [00:51:55] AM: Kyle took what I was going to say so you know. [00:52:00] GC: So rude Kyle, when we have guest. [00:52:01] AM: No, actually just to piggyback on that. Do what’s going to work for you and I’m a big fan of life by design. You have a vision for yourself, you know what you like and if you can lay that out, then go for it. I think a lot of where people get messed up is they go for it without making the needed adjustment and they finance the rest on credit cards or whatever. Just make sure that whatever you want to do is that you have a good plan to do it and make sure that it doesn’t destroy or crush your soul like Kyle said. [00:52:46] GC: No soul crushing please. [00:52:49] GC: Aja, I really love your story and I really love how you took control of things and made the life that you want yours. For our listeners out there, can you tell them a little bit about your site and your online projects? [00:53:02] AM: Yeah, definitely. I write regularly at Principlesofincrease.com. I maintain a blog there and I write about helping people around issues with debt elimination, increasing income and building wealth. After I told my story so many times, people would say, “Oh did you get out of debt and what did you do?” I talk about budgeting, investing, early retirement and things like that. I also just wrote a book called Debt Free in 24 Hours and it’s available at Amazon.com. GC: Debt Free in 24 Hours, okay I think we might have to have you back on and talk about that kind of concept because that sounds enticing. Thank you again for joining us tonight and sharing your story with us and with our listeners and for everybody else out there, thank you and until next week. Be good with your money. 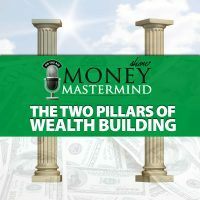 [00:54:00] ANNOUNCER: Thanks for joining us on The Money Mastermind Show, get more information at Moneymastermindshow.com. Don’t forget to subscribe to the show on iTunes and YouTube and follow us on Google Plus. How can a lower cost of living lead to a better quality of life? A look at how disposable income is more important than net salary. Tips for reducing your cost of living. How to identify an area that meets your needs and your cost requirements.